Affordable Cleaning Services provides you professional, fully vetted, reliable and insured cleaners that will deliver a high standard cleaning suited to your individual needs. We offer you cleaning fitted to your liking. Affordable Cleaning Services can offer its quality and reliable services, weekly or fortnightly depending on your needs. 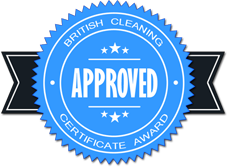 Whatever your requirements, we will provide valuable and professional cleaning services tailored to your individual high standards. Our highly experienced and reliable cleaners guarantee that using our cleaning services you will notice the difference in your home. We know how important your family health is for you so we offer, at your request, disinfecting services, at the same price with the cleaning service you choose. No matter how your high requirements are, Affordable Cleaning Services provides cleaning services according to your personal needs. We are very flexible and we base our services on your cleaning preferences. We pay attention to details, and for us it is very important to take care of your home. Because we know that the health of your family is very important, we offer you disinfecting services. There is no extra charge for this service, you pay only the cleaning service you already chose. Disinfecting should be part of a usual cleaning especially when someone at home was sick. You have to ask for this service and to give us an extra time for doing this job. The most important for Affordable Cleaning Services is the client satisfaction. That’s why we offer you ironing services during the regular cleaning visit. All you have to do is ask for this service, and our cleaners will help you with the ironing.